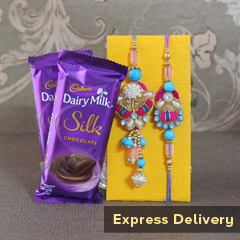 You’re Bhaiya & Bhabhi – They are important parts of your life and you definitely want to miss this chance to make them feel special. 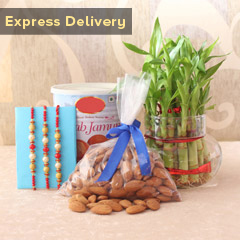 And, you must be perplexed, if you have still not been able to send your Rakhi gift. 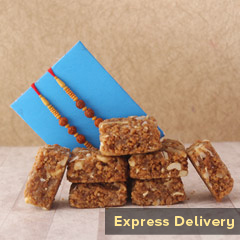 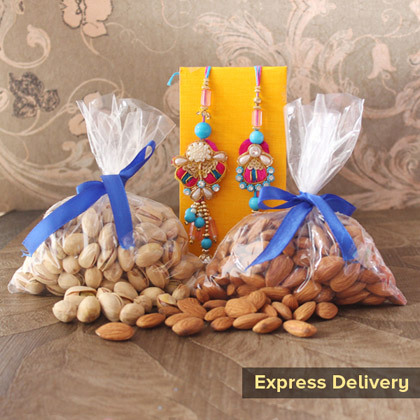 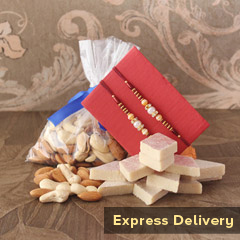 We are here with this nutritious & delighting combo of dry fruits and one Bhaiya Bhabhi Rakhi and we make sure that it reaches the destination before Raksha Bandhan.